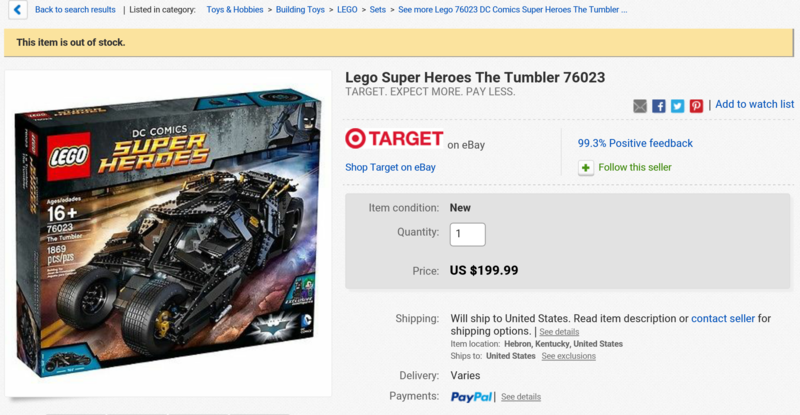 I'm looking for the UCS Batman tumbler with all pieces, minifigures, plaque and instructions(only I thing I don't want is the box and bags). If you have one either sealed in the box or out of it with all parts an instructions that you would be willing to part with please contact me ASAP! Please keep in mindI am still able to find sealed versions of it for 200 shipped online. I'm curious where you can find sealed ones online for $200. Care to share? ^^ @wrangler6915 - I try to get them just before they fall off the truck. I would have jumped on this when you had the chance. You could have bought it just so you had one and waited to see if you could get one used 100% complete at a later date. 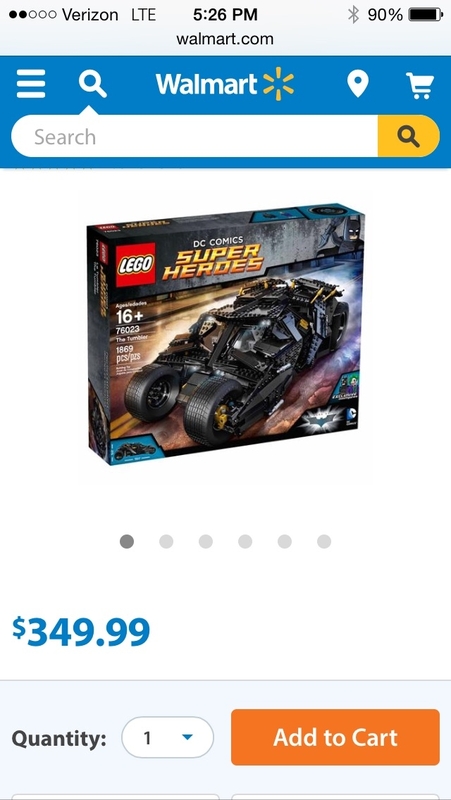 I believe it's been in and out of stock at Walmart.com today.